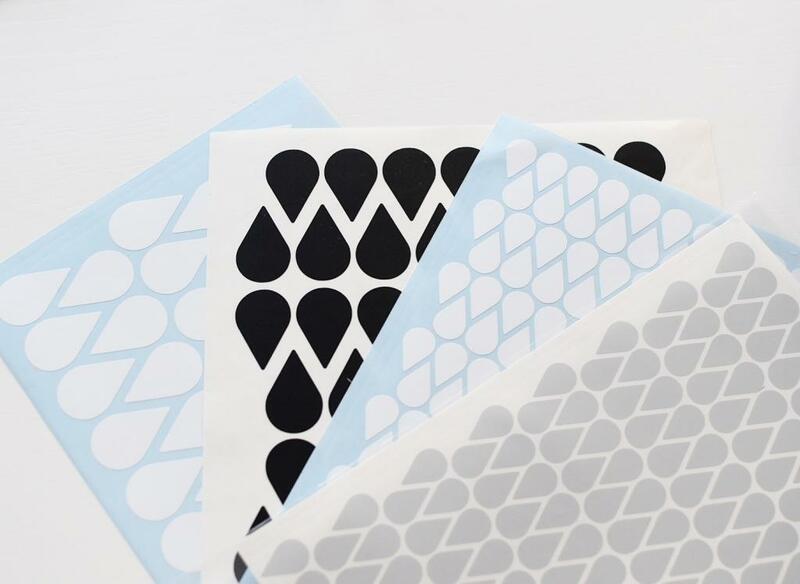 Our raindrops wall stickers are a great wall decor. They come in 7 colours. Just choose your colour. 390 raindrops in one set.